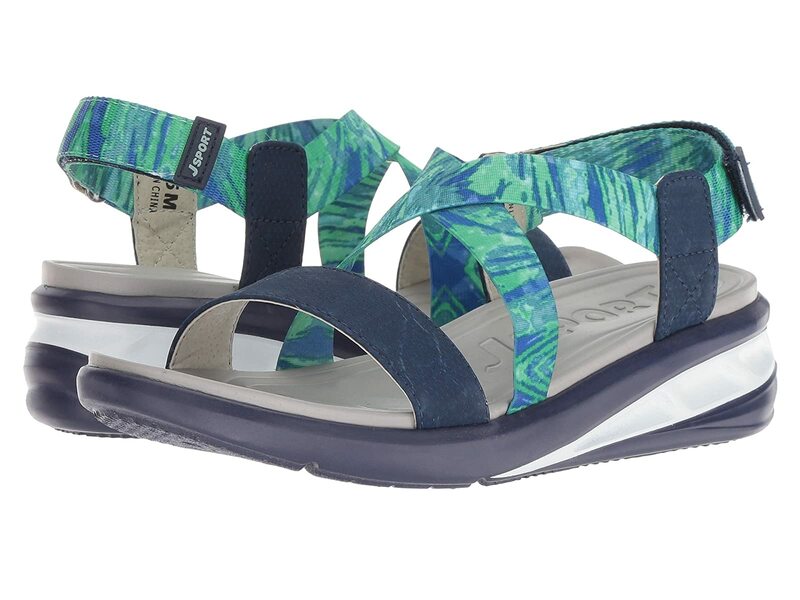 The JBU™ Sunny sandal has the perfect blend of support, flexibility, and comfort that will have you ready for every warm-weather adventure! JBU™ proudly states this shoe features an entirely vegan-friendly construction. Microbuck vegan upper with stretchy webbing. Comfortable synthetic lining offers a great next-to-foot feel. Soft synthetic footbed with memory foam supplies lasting underfoot comfort. Partially recycled All-Terra rubber outsole delivers reliable grip.